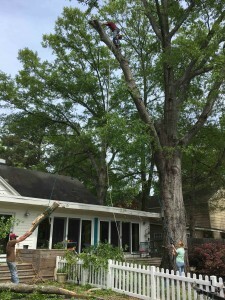 We offer a full range of tree services including but not limited to tree removal, tree cutting, tree trimming, and stump removal. We offer spotless cleanup and take all our debris to a licensed landfill facility. Call us at 334-221-5904 or contact us below for your FREE Estimate! Reach out to us to learn more about our professional services. With over 50 years of combined experience we are one of the most trusted tree removal companies in the River Region. We offer emergency tree removal and for both commercial and residential properties.